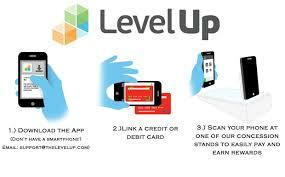 How would you rate your experience with LevelUp ? 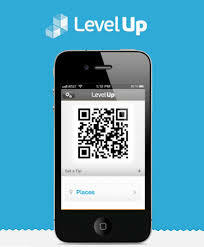 LevelUp was founded by 20-year-old Seth Priebatsch, who states he spent 3 years developing the app. 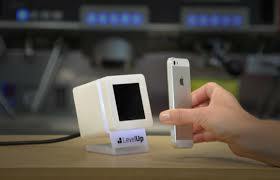 LevelUp is a payment platform designed to bypass checkout lines and other hassles, such as passwords. The platform works when a client downloads the app and links it to a debit or credit card. When paying at participating locations, the user simply opens the app and scans the QR code, completing the transaction. Currently, the app is used mainly for restaurants, but the company says it has as many as 50,000 businesses that use the app and more than 1 million registered users as of May of 2017. The app is popular on the East coast but hasn’t caught on yet on the West coast or mid-West regions. The platform also offers a reward or loyalty program. This program allows users to order food or other items and simply scan their QR code, bypassing most cashiers or waiting to sign on to other platforms, such as PayPal. As of June 2016, LevelUp is available for businesses in the Boston, Chicago, Washington DC, Northern Virginia, Philadelphia, St. Louis, New York City, Atlanta, San Francisco, Dallas, San Diego, Minneapolis, Montgomery, Kansas City, Seattle and Wilmington, North Carolina areas. In July of 2018, the company announced that they had been acquired by GrubHub for $390 million. Headquarters for the parent company, GrubHub, are located in Chicago, Illinois. Question 1: What is the phone number for LevelUp? Answer 1: The phone number for LevelUp is (312) 658-1238. Question 2: Who is the CEO of LevelUp? Answer 2: The CEO of LevelUp is Matthew Maloney. Question 3: Who founded LevelUp? Answer 3: LevelUp was founded by Seth Priebatsch in 2011. Want to make sure LevelUp sees your comment or complaint?